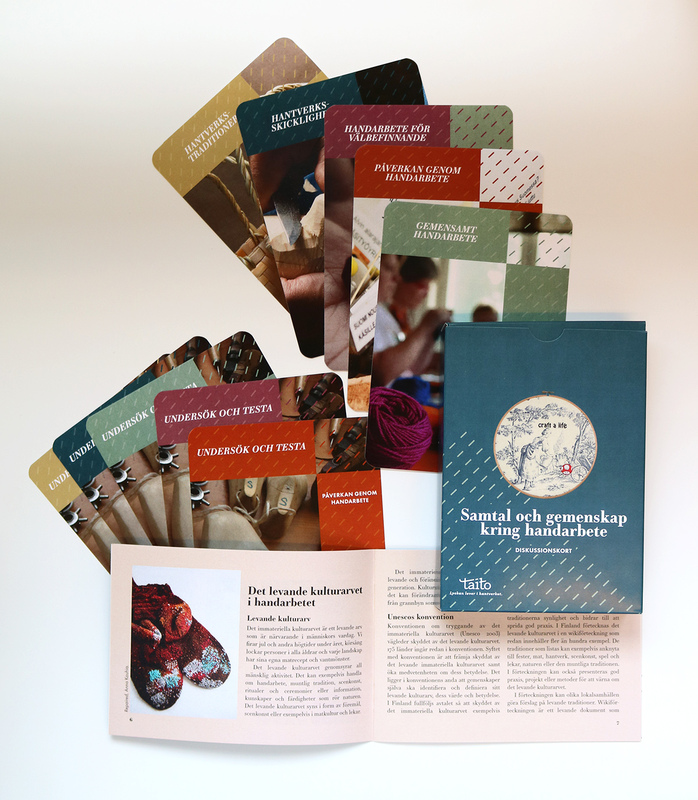 Our ‘Pondering Crafts’ cards for conversation are a new way to get to know the Finnish crafts culture in a group, or by yourself. This card series includes themes and questions that help individuals, communities and the society at large to understand crafts. They are designed to inspire users to reflect on the crafts culture and to discuss it from different points of view. The themes of the cards are crafts traditions, craft skills, communal crafts, crafts for well-being and influencing through crafts. They include 80 crafts-related ideas and 240 questions about the themes. 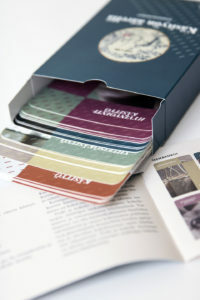 The package also includes ten ‘Explore and Experiment’ cards and an instruction booklet for varied uses of the cards. The series of cards is available in Finnish and Swedish.